Relying on his new Callaway driver and golf ball, Phil Mickelson shot a bogey-free, 8-under-par 64 on Sunday to win the AT&T Pebble Beach National Pro-Am, earning his 40th career PGA title. En route to a 17-under-par finish and a two-stroke victory, Mickelson used prototype versions of Callaway’s new RAZR Fit Driver, which will be available at retail this Friday, February 17, and Callaway’s new HEX Black Tour Golf Ball, which will be available on March 2. In his stellar final round on Sunday, Mickelson hit 13 of 14 fairways with his new RAZR Fit Driver, which features Callaway’s adjustable hosel and movable weights on the sole to help dial in a player’s ball flight. Playing in the tricky weather conditions of beautiful Monterey Peninsula, Mickelson relied on the consistent performance of his new HEX Black Tour Golf Ball. In addition to his RAZR Fit Driver and HEX Black Tour Golf Ball, Mickelson’s bag featured a full complement of Callaway equipment: a Big Bertha Diablo 3-wood (15 degrees), an X-Hybrid (19 degrees), RAZR X Muscle Back Irons (6-PW), a Callaway Prototype 5-iron and an X-Forged 4-iron. He used his Odyssey White Hot XG PT 82 Blade putter to roll in six birdie putts and an eagle putt. In fact, Mickelson was first in the field in Strokes Gained in Putting over the final two rounds, averaging 3.329 strokes gained. In shooting 70-65-70-64 over the four days on Monterey Peninsula, Mickelson hit 75 percent of greens in regulation. He also wore Callaway Tour Authentic footwear during all four rounds of his victory. 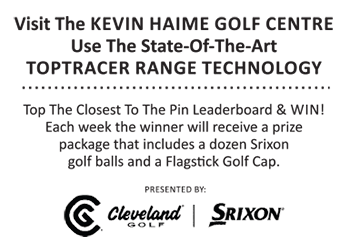 The soon-to-be- Hall of Famer’s victory marked the second worldwide win with a RAZR Fit Driver, following Alvaro Quiros’ convincing win at the Dubai World Championship in December. For additional details on Phil’s victory, please check out the Tour Page article on CallawayGolf.com.